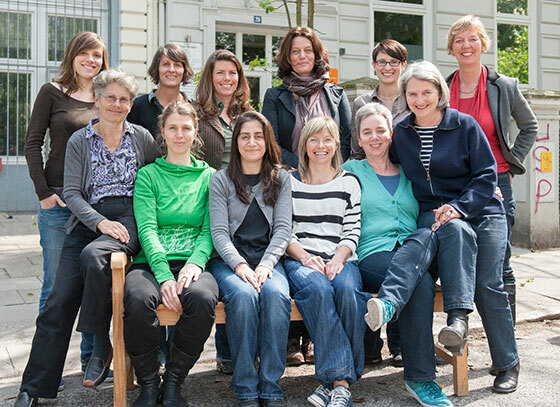 About us | Familienplanungszentrum e.V. I am pregnant – what should I do? The family planning centre (FPZ) has been running since 1982. It is a non-profit association independent of any political parties or churches. The FPZ is a corporative member of AWO and a co-operation partner of pro familia. Both federations are represented in the executive committee and cooperate closely concerning all topics. - pro fem (Federation of Women’s and Girl’s Facilities in Hamburg). Some of our services are free of charge, yet for others we require fees. Smaller or bigger donations help us maintain both the quality and range of our services. The activities of the family planning centre are funded by the Free and Hanseatic City of Hamburg and the Administrative Body for Social Affairs, Family, Health and Consumer Protection (Behörde für Soziales, Familie, Gesundheit und Verbraucherschutz). Projects are supported by Hamburg Donations Parliament, funds of the Hamburg Savings Bank lottery, the penalty fund and Aktion Mensch charity. We have confidentiality, that is, we tell nothing! For teenagers everything is free!